This retreat is purposefully designed to help you on the journey to find your amazing. We intentionally limited the number of guests to only 40 people. Believing that nothing happens by chance, knowing that if you’re open the right people will show up to propel you forward. You should be here! Learn transformative steps to set you on the journey to find your amazing, the thing that truly makes your special and significant. By the end of this retreat, you’ll be able to use your “why as power and move beyond stagnating fear to purposeful hope". Study how to use the “Amazing Model™” to unlock your magic through Vision , Preparation, Faith and Gratitude. Empowerment sessions and seminars facilitated by international speaker and renown life coach Jennifer Lester, The Self-Help Queen, along with her specially invited speakers. Plan to get up-close and personal with 40 ladies as we empower, learn and heal from each other. 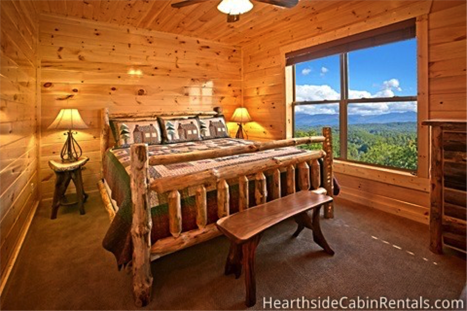 3 days 2 nights accommodations in Tennessee just minutes from downtown Gatlinburg and Pigeon Forge. 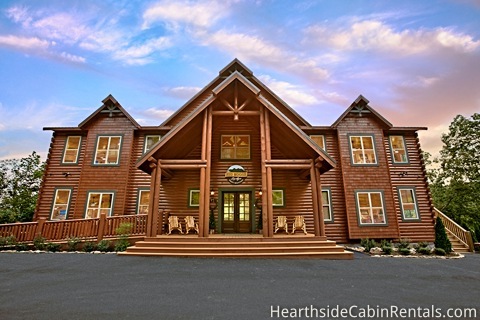 The three level, 16 bedrooms , spacious cabin includes hot tubs, fire place, and theater. 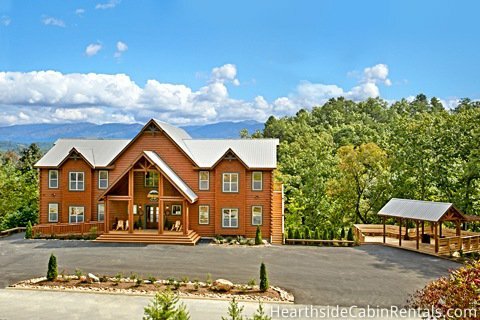 Outside you will find an enormous deck with breathe taking scenery, beautiful landscaping, and access to a Nature Walking Trail that adjoins the cabin sets the tone for this luxurious retreat in the Great Smoky Mountains. This all inclusive retreat includes complimentary breakfast, lunch, and dinner prepared daily by our executive chef. You and a friend can attend on the buddy system. An accountability partner is an excellent way to help each other stay focus and keep a commitment. Accommodation include a large private room and bath with a shared King size bed for you and a friend. The best project you can work on is you! If you are ready to focus you energy and efforts on you and surround yourself with other like-minded individuals start here. 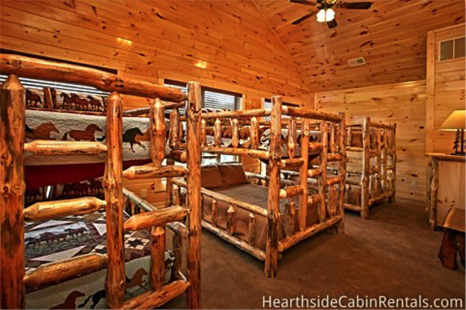 Accommodations include shared room with a private bath. This large room is spacious with Full-Size beds. The journey to amazing begins with a dream. The room filled with magnetic energy to help you manifest dreams and visualize with others around you. Accommodations includes shared room space with private bath. 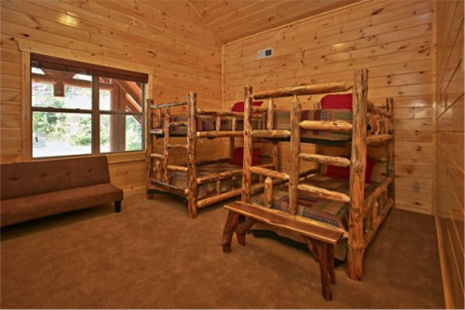 Twin Size beds allows a comfortable stay for one. Pay for the retreat in full. Payment plan: You balance can be paid in monthly installments. All payments must be paid in full by August 31, 2018. Please complete the application before making a payment or deposit. Click the registration button to start your application.